Introducing the RVN MEU/1911, the new and affordable GBB pistol on the market. Let’s take a look at the details…. 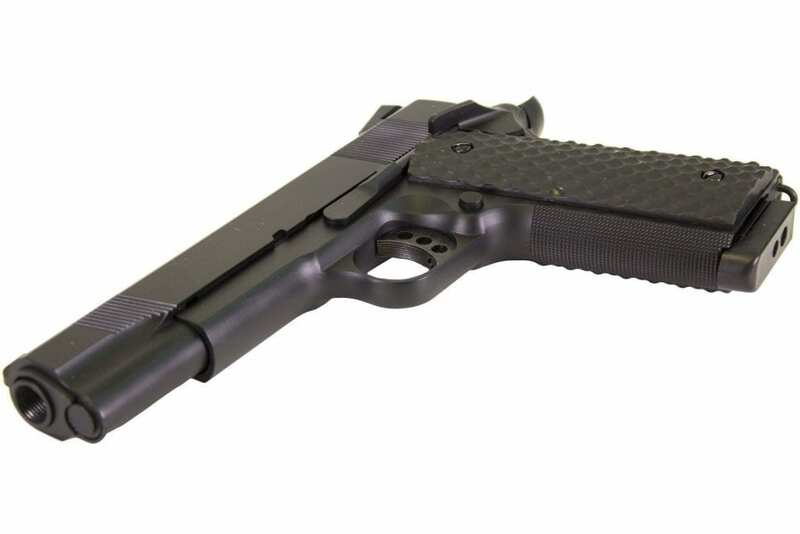 Starting with the outside, the Raven1911 is a metal/alloy top slide and bottom, polymer grips. It weighs around 700g which is quite a good solid weight. Along the back of the hand grip is a beaver-tail safety, this stops the pistol from firing without the appropiate grip. either side of the grips is an Ambidextrous Hammer Lock, meaning it’s comfortable for both left and right handed shooters. Moving to the bottom of the hang grip is the magwell, provided with a lan yard hoop. The magazines hold 26 rounds, double stacked and are powered by Green Gas (for now). On the top rail is a nice set of modern iron sights, leading to a threaded outer barrel at the end (therefore compensator ready). Internally you get an adjustable hop and while it is green gas powered, you are provided a spare Co2 Nozzle, Hammer and Recoil Spring. this is because within a few months Raven will be releasing the Co2 Magazines to go with it. Talking about the Gas, Raven recommend Nuprol 2.0 and 3.0. Over the 2 days of firing it I used 3.0 and was shooting around 335fps, which was perfect for winter weather (~4*C). In the warmer months I would suggest downgrading to 2.0 otherwise you might be hitting the chronograph too high. Ultimately, for a pistol that is less than £100 I’m extremely impressed. Raven enters the market with style, performance and compatibility at an attractive price point. 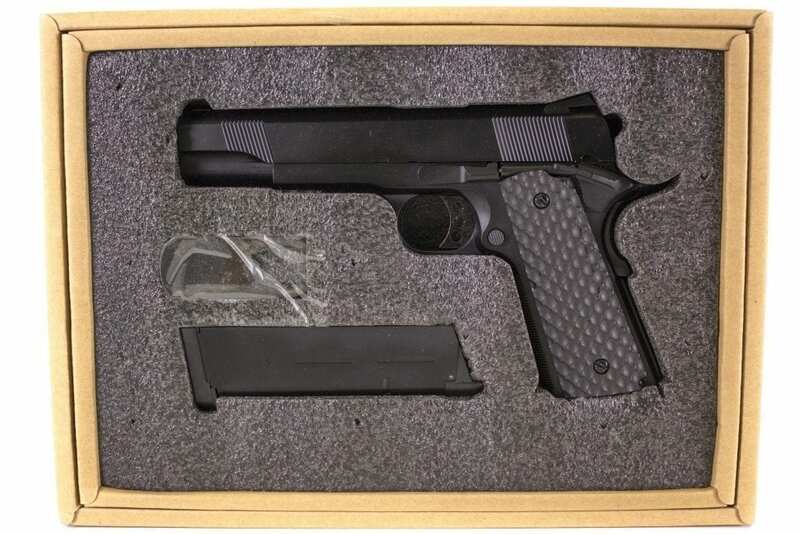 If you’re looking for a modern looking 1911, then you can’t go wrong with Raven.